In continuing with our wines under $10 feature this month, we’re covering Argentina’s Misterio Cabernet Sauvignon. With its dark and deep ruby red colour, you are immediately reminded that this is going to be, for the most part, a traditional Cabernet Sauvignon, knowing this grapes makeup of an exceptionally thick skin, spilling over into its hue in your glass. On the nose, this ‘Cab Sav’ brings forth scents of spice, and peppers, hinting at it’s ideal pairing, which we’ll get to below. On the palate, this wines medium to long finish allows you to gather it’s full spice, dark plum, and mature tannic taste. 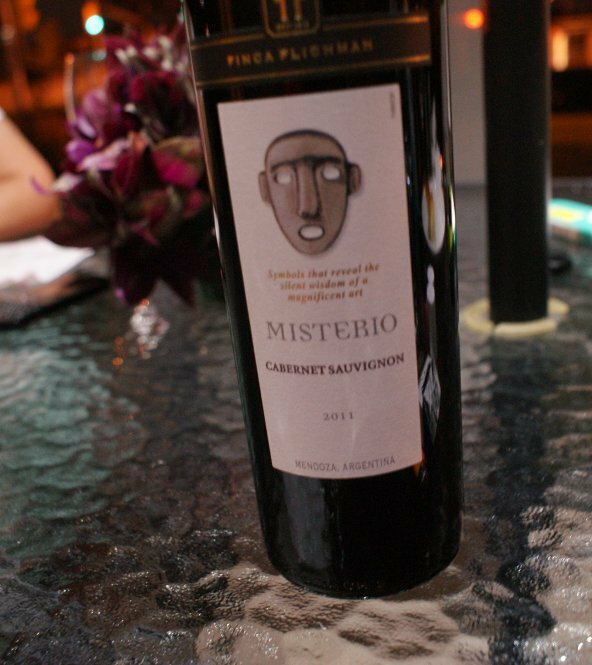 Though the Misterio Cabernet Sauvignon is only $8.95 it went off without a hitch when I served it, paired with barbecue steak, but be warned though, this red wines full bodied makeup, will not work well with your guests if they are into the more lighter, sweeter wine. This particular Cabernet Sauvignon would have also paired well with lamb.